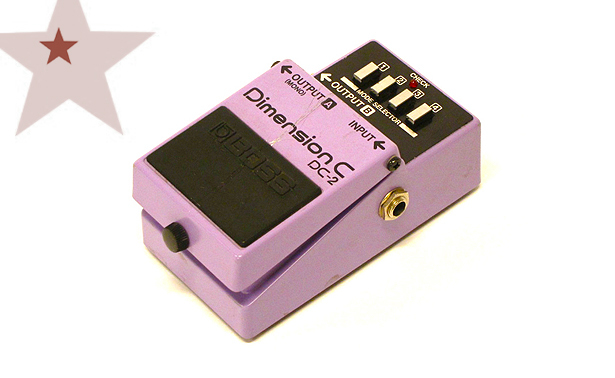 The Dimension C is an analog chorus pedal wth 4 presets. The “Dimension” chorus effect produces a 3D chorus effect where thickness, depth and a sense of width, is added to your sound. The Dimension C was available from December 1985 to September 1989 and it is now a rare and unique effect. The Dimension C offers a choice of only four chorus type sounds with no adjustment. Creates the kind of “dimension” effects used in professional recording studios.